I'm finally spilling the beans on the location we stayed during our vacation in the Dominican Republic. The property is called Hispaniola Beach and it's located in the north coast of the Dominican Republic between white beaches and blue water. The town is called Sosua which is 15 minutes away from Puerto Plata airport and it's only a few minutes away from restaurants and nightlife. If you have been following me for a while you may know that my family and I visit DR every year and always travel to different locations. However, Sosua is by far my most favorite place in the entire Dominican Republic. I booked my stay with VacationDominican.com and they are offering my readers a discount when booking through their website using NYTM code. You'll get 6 days and 5 nights for under $1,000. 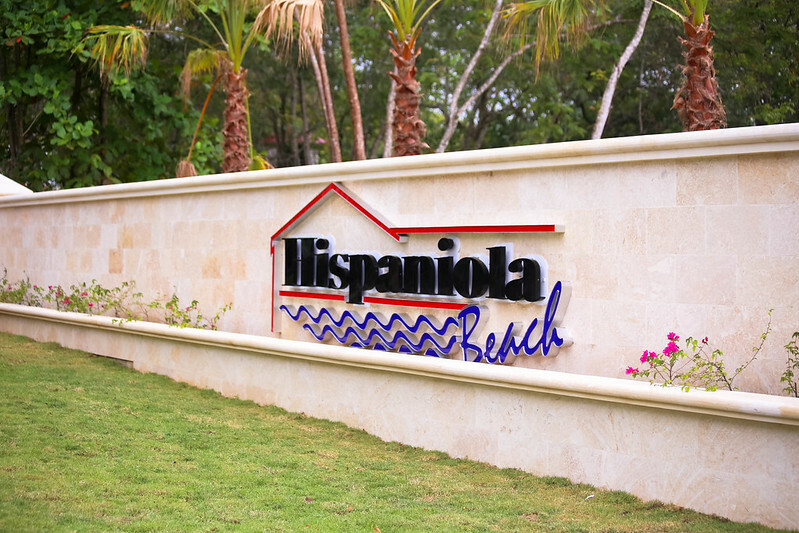 The Luxury Hispaniola Beachfront Condo has a total of 3 bedrooms & 3.5 bathrooms (accommodates 6). Which makes a perfect family or group getaway. The offer must be redeemed between 6/1/14 - 11/30/14. Without further ado, enjoy these breathtaking photos and details of Hispaniola Beach or as I call it "Small Paradise". Today I will be sharing a new (to me) seasonal subscription box that is filled with the trendiest beauty, fitness and wellness products called FabFitFun. The way it works is very simple; you sign up, each season you pay $49.99 (did I mention the goodies in the boxes are worth over $200!) then wait for your box to arrive to your home. After receiving your first box you will be hooked! I received my box over two weeks ago. I wanted to wait one or two weeks after receiving it to give you my opinion on all these products they sent. 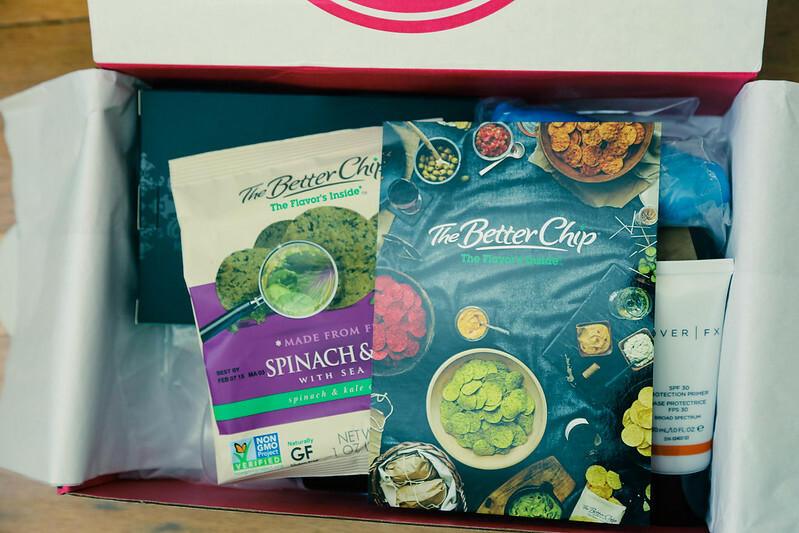 In my box (which is the Spring box) came many surprises including the most delicious spinach and kale chips by The Better Chip. It also came with a SPF 30 protection primer by Cover | FX ($38) which I used on my entire trip to the Dominican Republic. It is a very light product that goes on very smooth. A very fashionable turband by Cult Gaia ($48) that I wore on my trip as well while on the beach. This turband is a very whimsical way to spice up any look and it makes the perfect hair accessory. An Oscar Blandi volumizing dry shampoo ($25) that is very lightly scented. This works instantly and it's a must-have girl hair product. The Kai Perfume Oil ($48) is an intoxicating (in a good way) perfume oil fragrance made with essential oils in a convenient and easy to use roll-on vial. The scent I received was very earthy and refreshing. You all know how much I love yoga. Therefore, I was most excited about the Merrithew mini stability ball and dvd ($28.94). This unique zenga workout helps build core stability, stamina, and resilience. By focusing on your breathing techniques, you'll see improved mobility, better posture while releasing all the negative energy. 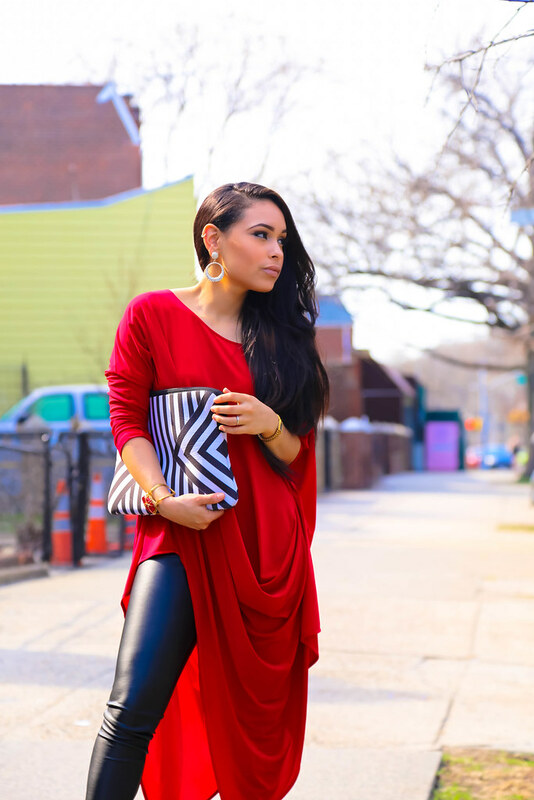 Get a 15% off on your next purchase by using this code during checkout: FFF14. Now that Mother's day is approaching all I can think about is a spa treatment. In this Spring VIP box came four Level Naturals shower bombs ($8). You simply drop one at the bottom of your shower and allow the organic menthol and eucalyptus infuse to get a true at-home spa experience. The tea tree essential oils will help your tired feet take a load off and detox while you wind down. Along this came a Dermasuri deep exfoliating mitt ($19.99). By using this mitt you will get smoother and rejuvenated skin, reduced ingrown hairs/bumbs and clogged pores. While using the mitt in the shower or bath, you will visibly see dead skin cells come off. After using this mitt you will notice softer skin with an immediate smoothness and glow on your body. I totally recommend signing up for this box if you are a busy woman who likes staying on-trend and loves taking care of herself- like I do. You can find out more about the FabFitFun Spring VIP box here. I'm happy to be finally sharing photos from our amazing vacation in my home country Dominican Republic. Our 9 day stay was out of bounds! We travelled all around DR, from the south to the north and east to the west. A sleepless trip that was beyond worth it, I'd do it all over again. Our mornings consisted of taking a walk to the pool (which was about 20 steps from our room) and going for a dip. Here I'm wearing the Juliana bikini by Lexington Company and a cover up by 9 seed. This triangle bikini was perfectly made for the reason that it hugs your body in the right places. The blue zig zag pattern blends right in with this breathtaking setting. It has tiebands with gold metal ending with the Lexington Company logo. It also has the cutest Lexington flag label (view here). Today's post is all about the amazing blue view that my family and I woke up to every morning when we stood in Hispaniola Beach, Sosua booked through VacationDominican.com. I'm currently in the Dominican Republic for a few days. If you would like to see my journey follow my hashatag #NYTMxDR on Instagram, Facebook and Twitter. We all have those sleepless nights once in a while and as a result wake up with dark eye circles. In my case, my dark circles are hereditary. Everyone in my dad's family has them and I've had them since I can remember. I love trying different methods to improve the darkness under my eyes but the best method is concealing them. Today I'm sharing a new concealer that is unbelievable when it comes to helping conceal your dark circles, faking a well-rested night of sleep and lasting all day. I've been using this High Coverage Concealer by Laura Mercier for over one week and I absolutely love it. At first I didn't know what to think of it because the consistency was thicker than my previous concealer. All you need is a tiny amount to conceal a very large area. As Laura says, a little goes a long way! This unique 3-in-1 concealer was designed to cover, de-puff and brighten under eye circles. The highly pigmented formula builds and blends flawlessly for professional makeup artist result and lasts all day long. The concealer was formulated with honey, vitamin E and fruit acid to nourish and smooth skin, and comes in 12 shades, so you can find your perfect match. 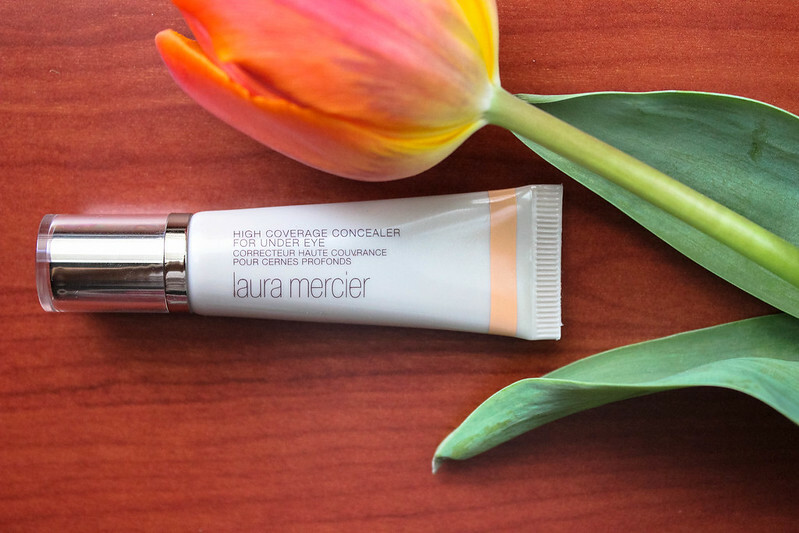 If you like to purchase this Laura Mercier High Coverage Concealer or what I call 'miracle in a bottle' you can find it in any Laura Mercier counter or through this link HERE. Today I will keep this post short and simple. I'm wearing a beautiful Maggy London dress that is great for any given Sunday. This dress is also perfect for special occasions such as weddings, birthday parties or simply brunch. The dress has beautiful details and the color screams out Spring. I hope everyone enjoys this beautiful day. Hoy voy a mantener este mensaje corto y simple. Llevo puesto un hermoso vestido de Maggy London, es perfecto para cualquier dia. Este vestido también es perfecto para ocasiones especiales como bodas o fiestas de cumpleaños. El vestido tiene muchos detalles bellos que lo hacen que sea único en su clase. Espero que todos disfruten de este hermoso día. Spring has officially sprung and I have become obsessed with outdoor activities. There's something about the outdoors that just can't compare to anything. The smell of the grass and the view of the water help me relax and clear my mind off things. I have different workout clothes for indoors and outdoors. I know that might sound crazy but I have my reasons. When I'm exercising indoors I like to wear tight fitted pants, a sports bra and a tight fitted top because I like to feel in one-piece. You know, the kind of one-piece that you can stretch, jump, twirl and everything will stay intact. On the contrary, when I exercise outdoors I like wearing a loose fitted tops like this Yoga Glyphs one because it really helps the breeze swing into the right places, if you know what I mean. This top is 100% supima cotton which provides softness + comfort to any activity, and lets not forget the super cute color and heart design. Today I'm going to show you my outdoor exercise clothes and share links to where you can buy your own workout gear. La primavera ha llegado oficialmente y me he obsesionado con actividades al aire libre. Hay algo en el aire libre que simplemente no se puede comparar con nada. El olor de la hierba y la vista del agua ayuda a relajarme y aclarar mi mente de las cosas. Tengo diferentes tipos de ropa de entrenamiento para interiores y exteriores. Sé que puede sonar loco, pero tengo mis razones. Cuando estoy haciendo ejercicio adentro me gusta usar pantalones apretados, un sujetador deportivo y una camisa ajustada porque me gusta sentirme en una sola pieza. Ya sabes, el tipo que puedes estirar, saltar , girar y todo se quedará intacto. Por el contrario, cuando hago ejercicio al aire libre me gusta usar camisas sueltas como esta de Yoga Glyphs, ya que realmente ayuda que la brisa entre en lugares adecuados, si sabes lo que quiero decir. Esta camiseta es de 100% algodón supima que proporciona suavidad + comodidad y no nos olvidemos que el color muy bonito y el diseño del corazón tambien. Hoy les voy a mostrar mi ropa de ejercicio al aire libre y compartire enlaces a donde se puede comprar su propio equipo de entrenamiento . I'm not sure if you guys remember about our previous fun experience. A few months ago my husband and I celebrated our wedding anniversary on a brunch cruise that toured the entire city. If you missed it, you can see it HERE. Today I'm sharing another awesome date. We love going on solo dates but we had to make a slight exception on this one. 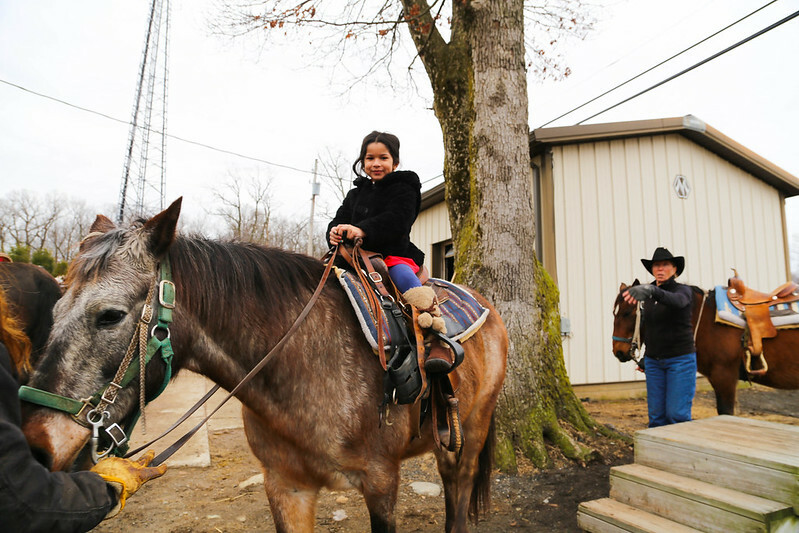 Our oldest daughter loves horses and if she would've known we were going on this trip without her, she would've been very upset. A huge thanks to Discover Outdoors for allowing our daughter to accompany us on this adventure. We went on the most relaxing trail ride for about 40 minutes through acres of wooded trails. Our guide was very helpful and informative. She told us stories about all the activities they do on the stables. From night trail rides, to-weddings to-birthday parties. They even have a section where they makes campfires. It all felt as if we were a million miles away from the city. This was a beautiful way to escape from it all without going too far. 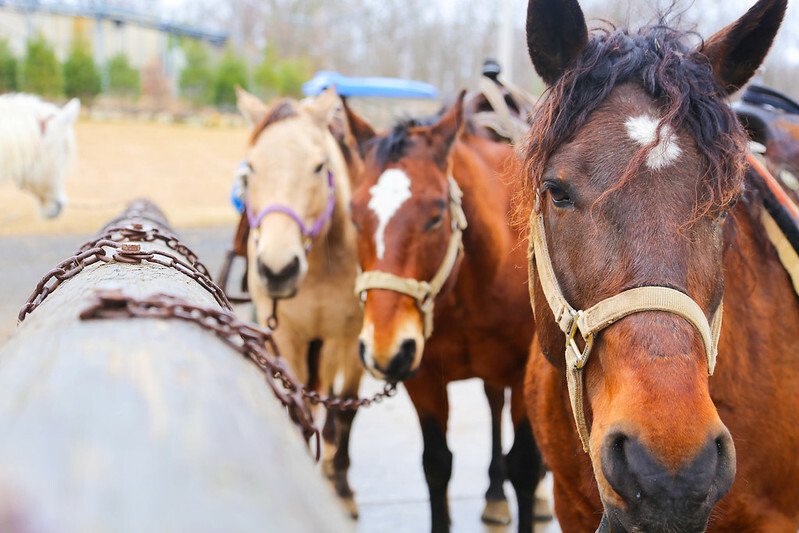 Very quite horseback ride, feeling the wind as you go, accompanied by your family and just enjoying time pass by, not wanting it to ever end. Now that's a Sunday date well spent. Candles are one of my favorite things to have around the house. I usually wait until each one is finished to get a new one, which happens on a weekly basis (but not anymore). My mother in the other hand, is a candle hoarder. If you visit my mothers house you'll loose count of how many candles she has in every corner table, on the dining table, in her room and the bathroom. I mean, how many candles do you really need? and to say some have never been used before. I'm always excited to share new findings of really good candles that burns slow and smell delightful. 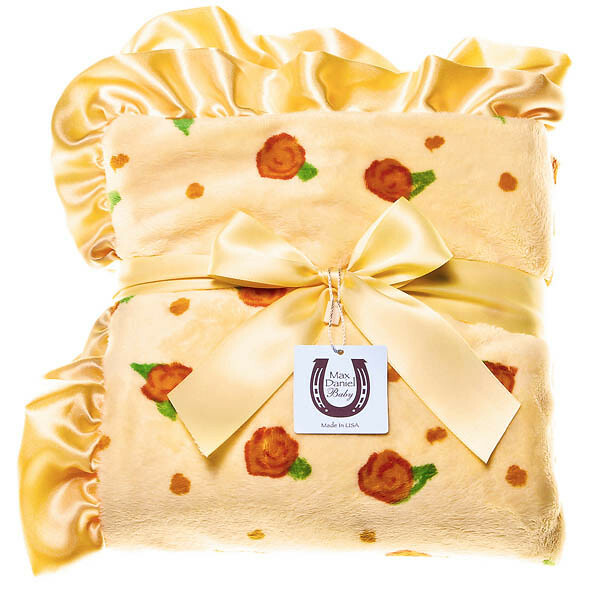 Candles make the most thoughtful and ideal gifts for birthdays/Mother's day. Today I'm sharing one of my new favorite brands, Andrea Schroder. I was gifted two different scents, (Basil Lemongrass; a fresh summer/earthy scent that goes well in the kitchen and Star Jasmine; a very feminine scent with hints of vanilla). I also received one mini travel candle to take on my trip next week; this mini candle comes with each order of two full size candles. Every time I light up these candles it brightens my moods and really gets me to relax anytime of day. My favorite way to end a hectic day is by taking a warm bubble bath while the kids are asleep, light 'Star Jasmine' candle, play my smooth jazz station on Pandora very low, turnoff the lights and simply relax. I forget about all my problems and enjoy the moment. I also love the lighting that this candle provides, specially in a very dark room. 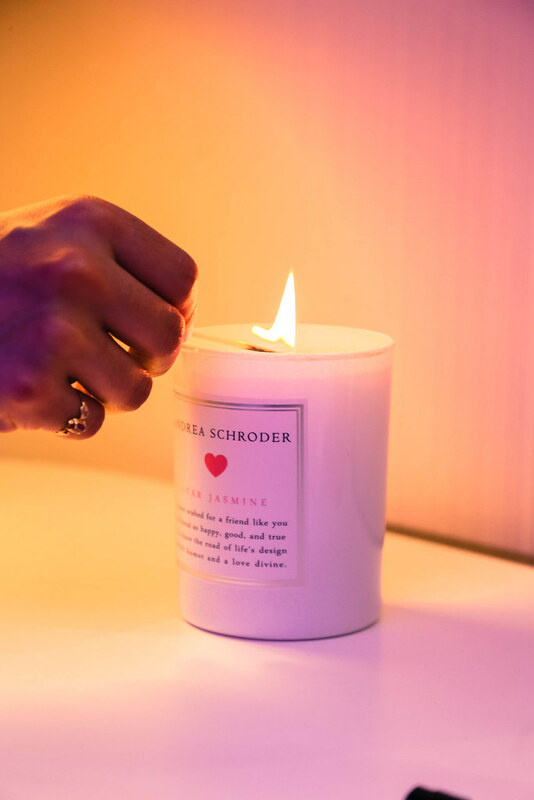 These candle fragrances have the ability to enhance moods and calm your nerves. 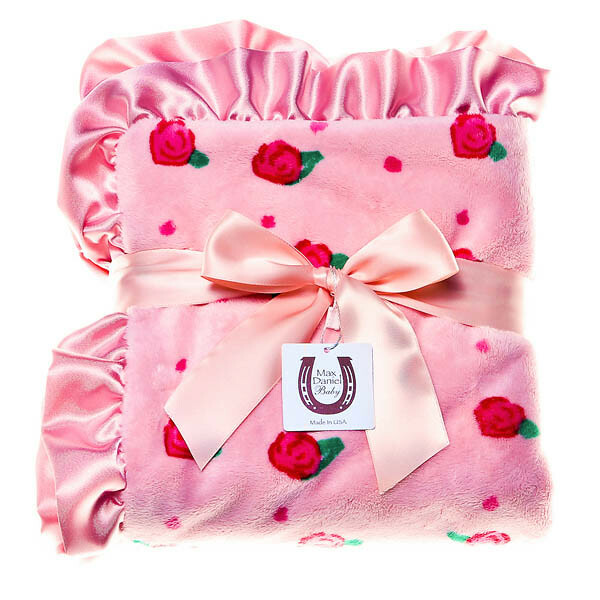 Check below for a special Mother's Day 15% off code. Las velas son una de mis cosas favoritas para tener en la casa. Por lo general espero hasta que cada una se termine para conseguir una nueva, lo que ocurre en una base semanal. Mi madre es similar, o no. Es más como una acaparadora de velas. Si usted visita la casa de mi madre perderás la cuenta de cuántas velas tiene en cada mesa, en su habitación y en el baño. Quiero decir, ¿cuántas velas realmente necesitas? y decir que algunas estan nuevas. Siempre estoy emocionada de compartir nuevos hallazgos de buenas velas que se queman lento y huelen delicioso. Las velas hacen los regalos más reflexivos e ideal para días de cumpleaños / o dia de madres. Hoy estoy compartiendo una de mis nuevas marcas favoritas, Andrea Schroder. Me regalaron dos aromas diferentes, (Basil Lemongrass y Star Jasmine). También recibí una mini-vela para viajar. Me la voy a llevar en mi viaje la próxima semana; este mini vela viene con cada compra de dos velas de tamaño completo. Cada vez que enciendo estas velas que ilumina mis estados de ánimo y realmente me relaja en cualquier momento del día. Mi forma favorita de terminar un día ajetreado es tomando un baño de burbujas caliente mientras los niños están dormidos, encender una vela, poner mi estación de jazz suave en Pandora, apagar las luces y simplemente relajarme. Me olvido de todos mis problemas y disfruto del momento. También me encanta la iluminación que esta vela ofrece, sobre todo cuando las luces están apagadas. Estas fragancias de velas tienen la capacidad de mejorar los estados de ánimo y calmar los nervios. I've been drinking and blending my own blend of chai tea for years, which I offer to guests. Some exciting news from Yahoo came in Monday morning and I couldn't wait to share it with you guys. Oprah will be selling her new line of Chai tea in Starbucks and her inspiration came from her trip to Mumbai in 2012. When I heard about this I was shocked that it took this long for someone to bring the idea to a huge coffee/tea franchise. Well the wait is over people. I am not a fan of caffeine and I try to avoid it as much as possible. 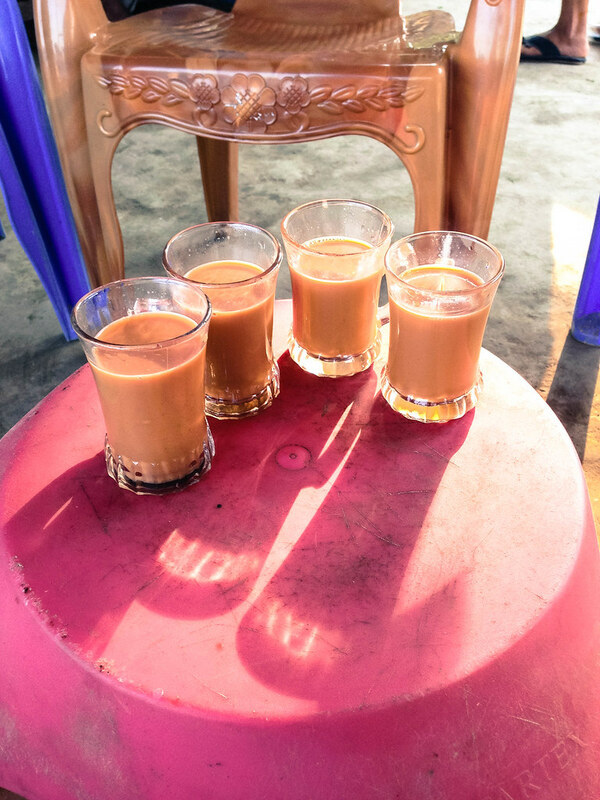 Chai tea consists of black tea, sugar and milk. In many cases people add their own little twist by adding cardamon, cinnamon, cloves and other things. I only drink chai tea when visiting my husbands family out of courtesy. It's delicious and so addicting, that's why I try to stay away from it. The tea goes down smooth and leaves you with an urge of wanting more. 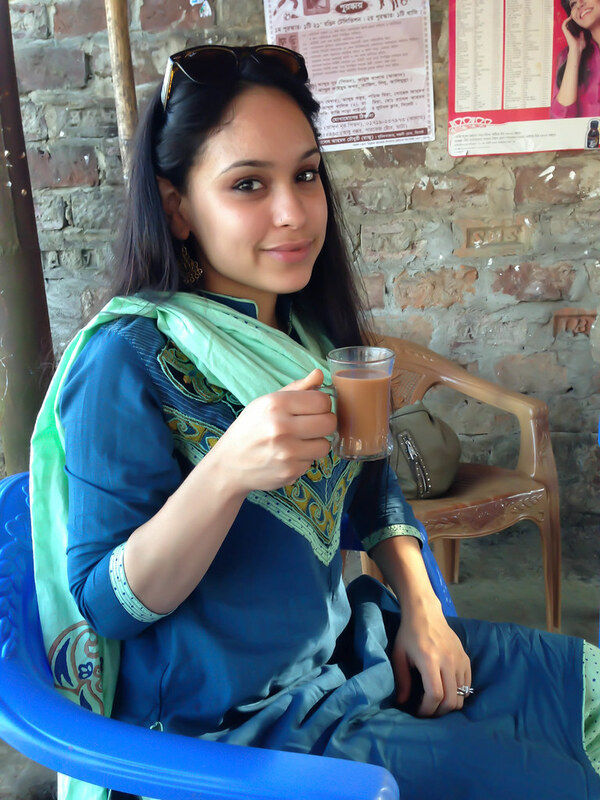 I had the best tea when I visited Bangladesh in February 2013, there's no doubt about it! I think what made the tea so good was the fact that it was made from fresh cow's milk and with lots of love. We would find the most modest little tea vendors everywhere we went and they all tasted slightly different. We had tea for breakfast, after lunch, after afternoon nap (Bengali's call this nasta/ tea time) and after dinner. I guess you can say tea is like a replacement of coffee for Greeks. Today I wanted to bring you dinner recipe ideas that are great on a Sunday. One thing my family and I love is being able to share at least one day of the week eating at home and why not make it a special dinner, right? While searching for these recipes my stomach was growling because they all look and taste so good! Hope you enjoy it! This post was sponsored by Foodie.com and I was compensated for my time. These are all dinner recipes I have tried in the past or want to try in the future. All opinions are my own.